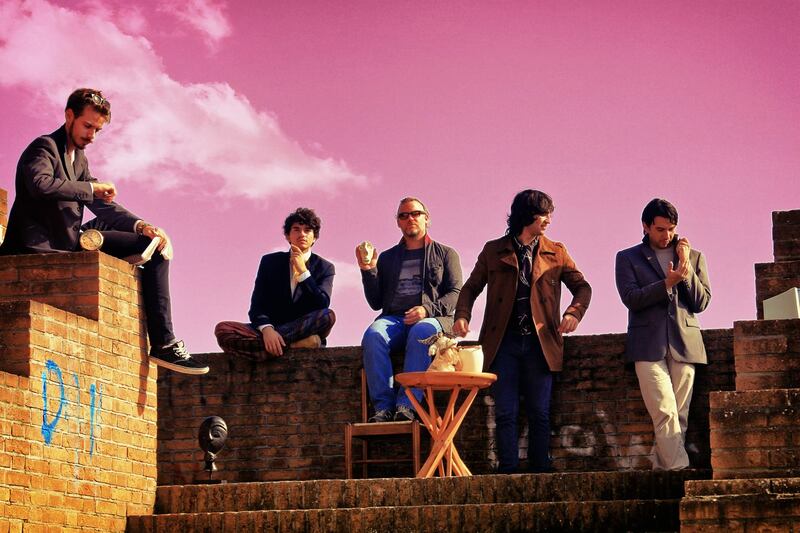 Noel and the Pandas are the hottest new alternative rock sound to emerge from Italy. With a soft rock sound and sensitive lyrics, the guys add a hearty Italian twist to rock. The band is led by front man Noel, who is the ultimate Italian Jack of all trades that has finally found his calling in the world of alternative rock music. Noel’s journey into music has been an unusual route, to say the least. Having lent his hand to many trades, Noel’s career is a fascinating and chaotic tale; beginning his career as a lawyer, Noel went on to have a long career in the banking industry. One day Noel’s career as a banker came to a crashing end over night as he lost everything in the blink of an eye when the bank he worked for was drawn into an Italian banking scandal, which even saw his father unjustly imprisoned for a brief period. Following this tragedy Noel was left recovering metal scraps from the streets and was even worked as a fisherman in West Africa for a short while, as he struggled to make ends meet. With nothing left to his name, Noel turned to music to overcome his troubles. After mastering the guitar Noel soon realised his real passion lied in making music and began to express his troubles through his lyrics. Whilst learning how to harness his new found talent Noel began the quest for band mates to help complete his new musical venture. Nicola Rosti, the bands lead guitarist, was the first recruit. Having been Noel’s guitar teacher for some time, the pair had a natural musical chemistry that morphed into band mate material with ease. The talented Rosti has a long and illustrious career in the music industry; having been involved with numerous bands Rosti brings technical brilliance to the ensemble and is responsible for the production of the album. Dominic Sambucco, on rhythm guitar, was the next to join. A Canadian citizen living in Italy, Sambucco’s strumming talent completed the guitar sounds of the band. Well versed in the art of alternative rock, Filippo Parmeggiani joined the band to play drums. Finally, the band was completed by the arrival of Matt Straveden. With a history as a classic pianist, Straveden is the bands keys player. The band has an alternative rock sound, with a soft undertone that subtly embraces the best of rock. ‘In The Art Of Doom’ is the debut album from the band and showcases the rockin’ talents of the five guys. A number of tracks on the album explore the heart ache Noel has suffered over recent years and draws the listener into his complex world through his heartfelt lyrics.